one need not be afraid to produce daring, unusual things for the proletariat so long as they deal with its real situation. There will always be people of culture, connoisseurs of art, who will interject: “Ordinary people do not understand that.” But the people will push these persons impatiently aside and come to a direct understanding with artists (Brecht 2007: 84). 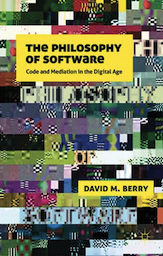 In relation to the practices of code itself, it is, of course, not a panacea for all the ills of society. However, it is on the other hand a competence that increasingly marks itself out as a practice which creates opportunities to interact with and guide ones life in relation to being able to operate, and define how the computational functions in relation to individuation processes (see Stiegler 2013, Cowen 2013, Economist 2014). Not only that, as the epistemic function of code grows in relation to the transformation of previous media forms into a digital substrate, and the associated softwarization of the process, culture is itself transformed and the possibilities for using and accessing that culture change too. Indeed, Bifo argues, without such competences, "the word is drawn into this process of automation, so we find it frozen and abstract in the disempathetic life of a society that has become incapable of solidarity and autonomy" (Berardi 2012: 17). For Berardi, cognitive labour would then have become disempowered and subjected to what he calls "precarization" (Berardi 2012: 141). 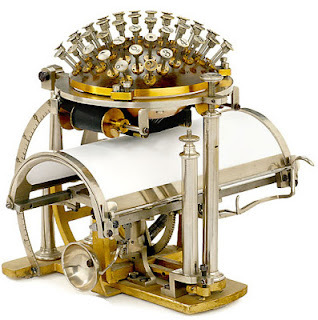 In response he calls for an "insurrection" in as much as "events" can generate the "activation of solidarity, complicity, and independent collaboration between cognitarians", that is, "between programmers, hardware technicians, journalists, and artists who all take part in an informational process" (Berardi 2012: 142-3). 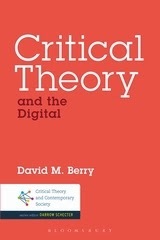 The aim of this literacy, if we can call it that, in relation to the computational, and which is similar to what I have called iteracy elsewhere (Berry 2014b), is also connected to notions of reflexivity, critique, and emancipation in relation to the mechanisation of not only labour, but also culture and intellectual activities more generally. Understanding the machine, as it were, creates the opportunity to change it, and to give citizens the capacity to imagine that things might be other than they are. time sheds its qualitative, variable, flowing nature; it freezes into an exactly delimited, quantifiable continuum filled with quantifiable 'things' (the reified, mechanically objectified 'performance' of the worker, wholly separated from his total human personality): in short, it becomes space. In this environ­ment where time is transformed into abstract, exactly measurable, physical space, an environment at once the cause and effect ofthe scientifically and mechanically fragmented and specialised pro­ duction of the object of labour, the subjects of labour must like­ wise be rationally fragmented. 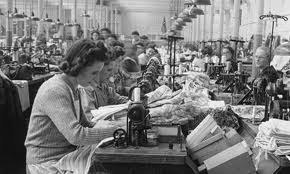 On the one hand, the objectifica­tion of their labour-power into something opposed to their total personality (a process already accomplished with the sale of that labour-power as a commodity) is now made into the permanent ineluctable reality of their daily life. Here, too, the personality can do no more than look on helplessly while its own existence is reduced to an isolated particle and fed into an alien system. On the other hand, the mechanical disintegration of the process of production into its components also destroys those bonds that had bound individuals to a community in the days when production was still 'organic'. In this respect, too, mechanisation makes of them isolated abstract atoms whose work no longer brings them together directly and organically; it becomes mediated to an increasing extent exclusively by the abstract laws of the mechanism which imprisons them (Lukács 1971: 90). But of course here, it is not seconds and minutes measured in "the pendulum of the clock [that] has become as accurate a measure of the relative activity of two workers as it is of the speed of two locomotives", but rather the microsecond and millisecond time of code, combined with new forms of sensors and distributed computational devices that measure time. Indeed, "time is everything, [humans are] nothing; they are at the most the incarnation of time. Quality no longer matters. Quantity alone decides everything: hour for hour, day for day" (Marx 1976: 125). For it is in the spaces of such quantification that lies the obfuscation of the the realities of production, but also of the possibility for changing production to a more democratic and humane system that makes, as Stiegler claims, "a life worth living" (Stiegler 2009). It is interesting to think about the computational imaginary in relation to the notion of "work" that this entails or is coded/delegated into the machine algorithms of our post-digital age. Campagna (2013) has an interesting formulation of this in relation to Newman (2012) has called "nothing less than a new updated Ego and Its Own for our contemporary neoliberal age" (Newman 2012: 93). Indeed, Campagna writes, "westerners had to find a way of adapting this mystical exercise to the structures of contemporary capitalism. What would a mantra look like, in the heart of a global metropolis of the 21st Century? What other act might be able to host its obsessive spirit, whilst functioning like a round, magic shield, covering the frightened believers from their fear of freedom? There was only one possible, almost perfect candidate. 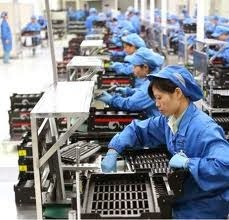 The activity of repetition par excellence: Work. The endless chain of gestures and movements that had built the pyramids and dug the mass graves of the past. The seal of a new alliance with all that is divine, which would be able to bind once again the whole of humanity to a new and eternal submission. The act of submission to submission itself. Work. The new, true faith of the future" (Campagna 2013: 10). 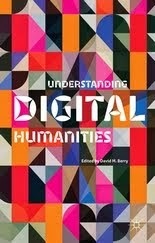 Here, though I argue that it is not immaterial apparitions and spectres which are haunting humanity and which the Egoist can break free from, but the digital materiality of computers' abstractions formed of algorithms and code and which are a condition of possibility for individuation and subjectivity itself within cognitive capitalism. As Stark writes, "for a worker to claim the right to create—to theoretically “unalienated” labor—was a gesture as threatening to the factory bosses as it was to the official organs of the left, with their vision of the worker acceding to a state of being-in-oneself through work. Regarding this form of sociological indeterminacy, Rancière argues that “perhaps the truly dangerous classes are . . . the migrants who move at the border between classes, individuals and groups who develop capabilities within themselves which are useless for the improvement of their material lives and which in fact are liable to make them despise material concerns.” Further, for Rancière, “Working- class emancipation was not the affirmation of values specific to the world of labor. It was a rupture in the order of things that founded these ‘values,’ a rupture in the traditional division [partage] assigning the privilege of thought to some and the tasks of production to others.” Binetruy affirms this rupture, recalling that while initially wary of “these Parisians who came stuffed with film and cameras,” he quickly realized that “they did not come to teach us any lessons, but rather to transmit technical training that would liberate our spirits through our eyes. Once you have put your eyes behind a camera, you are no longer the same man, your perspective has changed.”" (Stark 2012: 150). Berardi, F. (2012) The Uprising: On Poetry and Finance, London: Semiotext(e). Brecht, B. 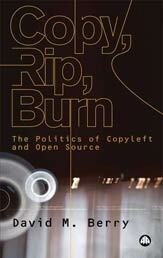 (2007) Popularity and Realism, in Aesthetics and Politics, London: Verso Press. Campagna, F. (2013) The Last Night: Anti-Work, Atheism, Adventure, London: Zero Books. Cowen, T. (2013) Average Is Over: Powering America Beyond the Age of the Great Stagnation, London: Dutton Books. Lukács, G. (1971) History and Class Consciousness: Studies in Marxist Dialectics, MIT Press. Marx, K. (1976) The Poverty of Philosophy, in Karl Marx and Frederick Engels, Collected Works, Volume 6, 1845–1848, London: Lawrence & Wishart. Newman, S. (2013) Afterword, In Campagna, F. (2013) The Last Night: Anti-Work, Atheism, Adventure, London: Zero Books, pp. 92-5. Stark, T. (2012) “Cinema in the Hands of the People”: Chris Marker, the Medvedkin Group, and the Potential of Militant Film, OCTOBER, 139, Winter 2012, pp. 117–150.